Read eBooks and listen to an audiobook with a single tap, place items on hold and add items to your wish list. Simply download the app to get started. All you need after that is your library card number to create your account! Then you can enjoy Axis 360 anytime, anywhere! After a quick one-time account set-up process, you will be able to checkout and download audiobooks!! Click on the REGISTER button on the top right hand side. You will be promoted to enter your information including YOUR LIBRARY CARD NUMBER. Remember your username and password, and visit the site anytime! Search for and download audio and e-books. Your library's newest addition is here! and add items to your wish list. 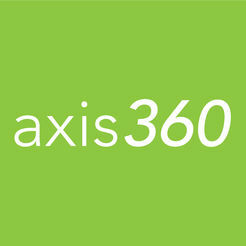 Axis 360 is easy to use. Set up your account with your library card number. Then you are ready to listen and read! 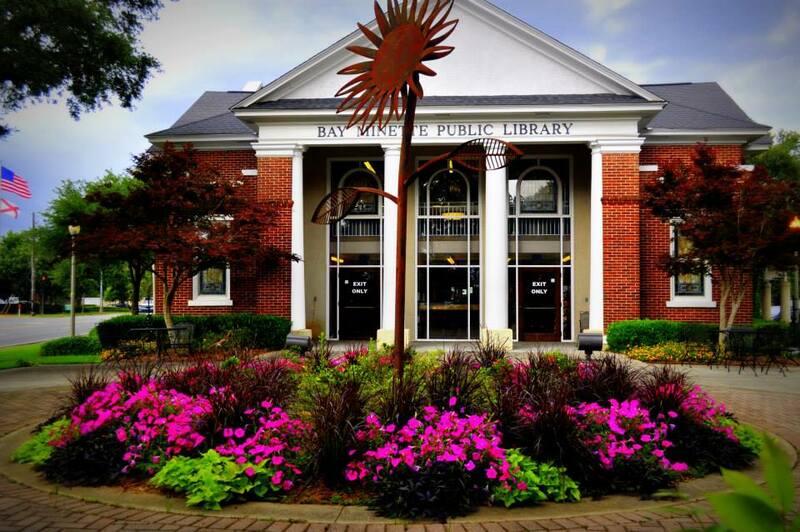 CHECK OUT THIS GREAT ARTICLE ABOUT YOUR LIBRARY AND ALL IT HAS TO OFFER!! BE SURE TO SCROLL DOWN TO OUR VALUABLE RESOURCES SECTION! YOU WILL FIND A WEALTH OF INFORMATION THERE! Our newest addition to the valuable resources: free driving tests. Click the link above to try it out! The new app for everything Recorded Books! ALL YOU NEED IS YOUR LIBRARY CARD NUMBER TO GET STARTED! CLICK THE LINK AND CREATE YOUR FREE ACCOUNT TODAY! Online Language Learning Courses are here! Create an account using your library card number! Sentimental Productions DVDs available at your local library! Two different collections -- Sentimental Sing-Alongs and Sentimental Serenity -- are little gems waiting to be discovered! The Sentimental Sing-Along collection features performances of memorable songs that mark important eras in our nations history. Your library has nine different volumes including "Songs from the Home Front," "Songs from the Heartland," and "Cowboy and Campfire Songs." Have a listen at www.youtube.com! The Sentimental Serenity collection highlights different regions in the United States including the Gulf Coast, Southeast and the Great Plains.Take a sneak peek of the Great Plains at www.youtube.com! Check out our new Bay Minette Browsers facebook page. It's for ANYONE WHO LOVES BOOKS! 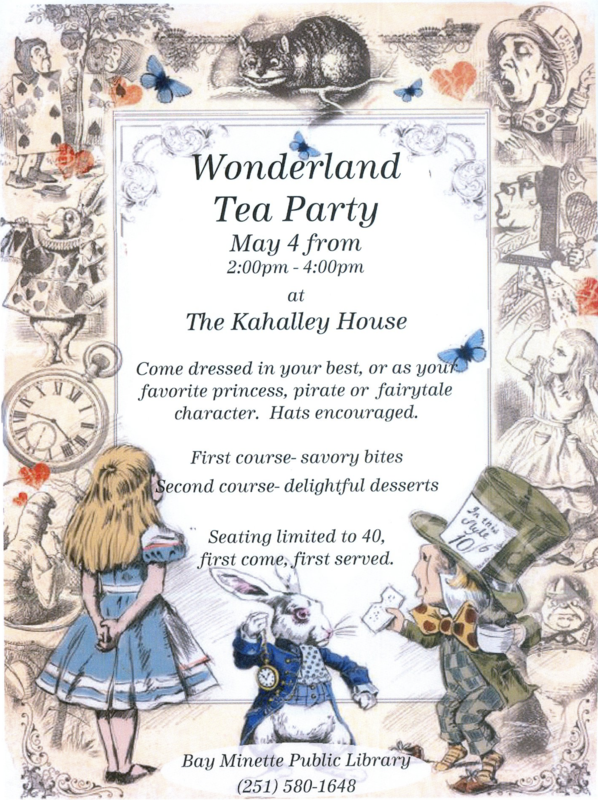 It is NOT limited to book club members. Share what you are currently reading, your favorite books and authors and make book suggestions. If there is a book you loved and want others to read then this is the place for you to share it! Happy Reading! The Bay Minette Public Library has expanded its services with audiobooks, eBooks, and music now available for download! 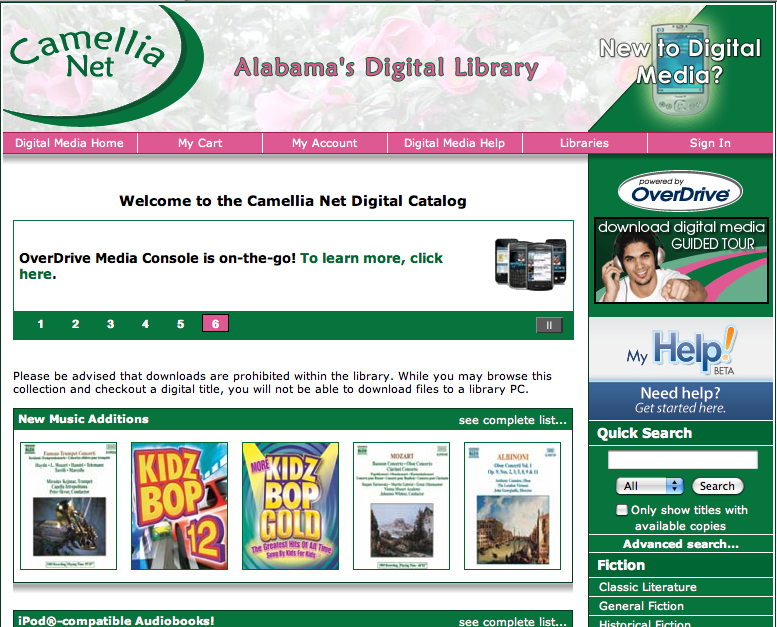 Library card holders can check out and download digital media anytime, anywhere by visiting this website and clicking on the Camellia Net link on the upper right hand corner of the page. 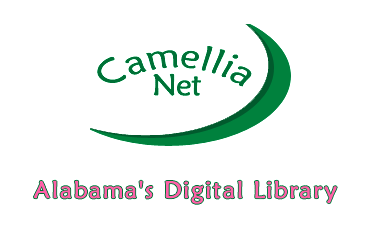 Users may browse the library's website, check out with a valid library card (from any library in the county that is participating in the Camellia Net consortium), and download to PC, Mac, Nook, Kindle, iPod, iPad, Sony Reader, and many other mobile devices. Users will need to install free software (except for Kindle books) -- OverDrive Media Console for audiobooks and music and Adobe Digital Editions for eBooks. Titles can be enjoyed immediately or transferred to a variety of devices. Some audio titles can also be burned to CD to listen on-the-go. Titles will automatically expire after the two week lending period or you can change the default to a seven day lending period if you prefer. There are no late fees! Kindles can only use Kindle books. On an Apple product (iPad, iPod/phone), Android, computer, or other tablet, you will need to install apps. The app to read Kindle books is the Kindle app. 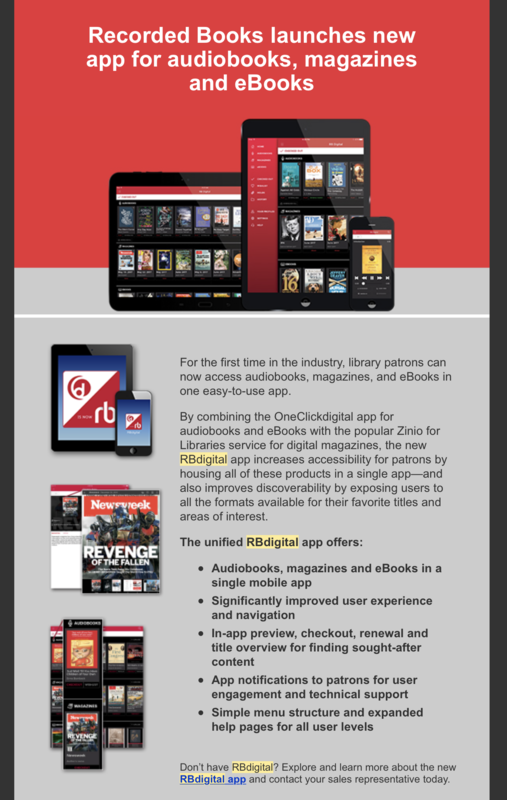 The Overdrive Console app will allow you to read Adobe EPUB. Both apps are free. Kindle books are managed through your Kindle account on Amazon. After check out, your book will be available for download through Amazon. Nook users have an extra step. You will need to download Adobe Digital Editions (also free) to your personal computer and create an Adobe ID. You will then need to authorize your device with your Adobe ID. Dock your Nook to your computer. Your library book will download to your computer. Open Adobe Digital Editions and go to the library view. Drag the title to the “NOOK” icon. Undock the NOOK from your computer. In the Library, open My Documents. The title should be available to be read for the period of time specified by the library. Other users can download EPUB books directly from the Overdrive Console, without going through a computer. You will be asked to choose your library, then enter your card #. This is the long number on the back of your library card. Your pin is the last four digits of that #. Throughout history the public library has been held in high esteem as a seat of knowledge, recognized as a public trust, and noted for its integral role in the community’s well being and sense of worth. 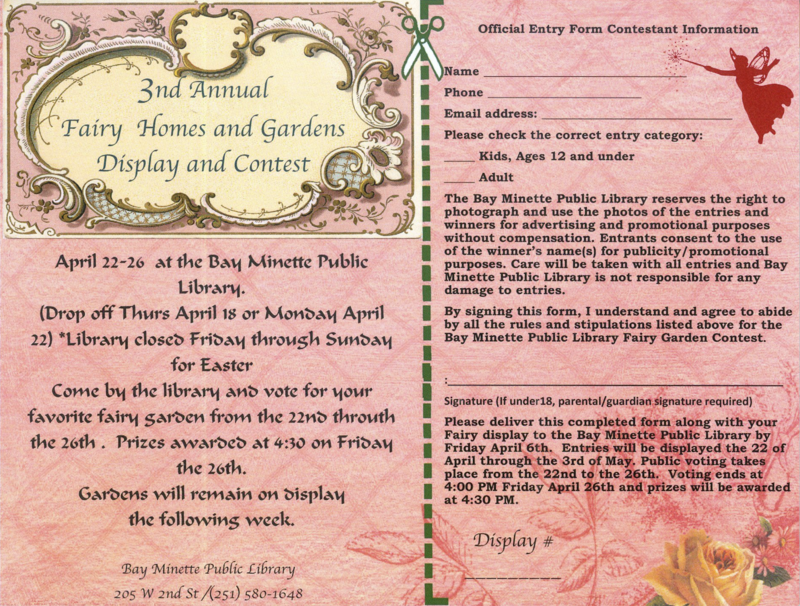 The mission of the Bay Minette Public Library is to continue this honored and honorable tradition by enriching our community with an abundance of resources, including modern and traditional access points to information, as well as by providing a variety of services with the betterment of the patron the first and foremost priority. Books were hard to come by at the turn of the century. Expensive when they could be found at all, books from religious writings to Shakespeare to popular western novels were a treat for the wealthy. But in Bay Minette, all of that was about to change. 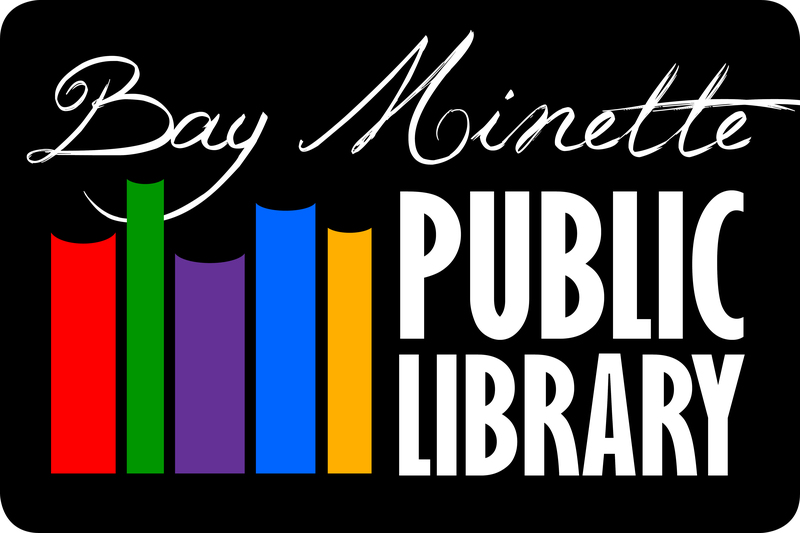 In 1922, the Bay Minette Public Library was founded by the Women’s Civic Improvement Association – an organization that itself was founded in 1913. Join Children’s Librarian Victoria Barnett every Tuesday morning at 10:00 a.m. for story time! Email Mrs. Victoria at bmplkids@aol.com. Visit the children's library to see our beautiful mural created and painted by local artist Tena Powell! Check out all the resources for students and parents under the Valuable Resources tab! Go Green @ Your Library! In cooperation with Baldwin EMC's RecyclePak program, we collect "burnt-out" compact fluorescent bulbs. Simply drop them off in the recycling receptacle at the front desk! We also collect used cell phones and charges for The Lighthouse, Baldwin County’s Domestic Violence Prevention organization. 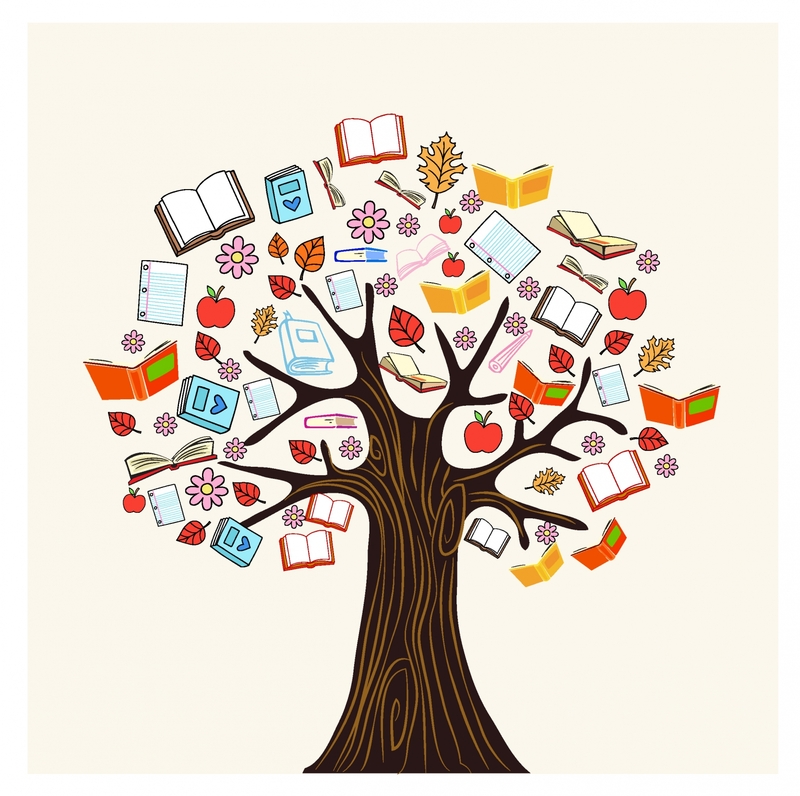 The Bay Minette Public Library has an on-going In-House Book Sale located in our Program Room! Hard cover books, audiobooks and DVDs are $1.00 each. Books and audio/visual materials are available for purchase during library hours. Contact: Cheryl Clarke, NBLC Director, at 251-937-1112. Club contact: Joanna Bailey at (251) 580-1648. Meetings are held the third Monday of each month at 1:30 p.m. in the program room. We will read I Am Malala: How One Girl Stood Up for Education and Was Shot by the Taliban by Malala Yousafzai for April. We will meet on Monday, April 18th to discuss it. http://www.northbaldwinchamber.com/ The North Baldwin Chamber of Commerce is a business focused, member supported organization that works with the community to develop sustainable economic growth and to enhance the quality of life for all residents, business owners and employees. Baldwin County United (929-7927). We've also included services or programs that we located in response to frequent questions from our library and bookmobile users. This information is updated frequently. To the best of our knowlege the information is accurate. www.gutenberg.org/ Project Gutenberg offers over 36,000 free ebooks to download to your PC, Kindle, Android, iOS or other portable device. Choose between ePub, Kindle, HTML and simple text formats. https://cmlibrary.org/resource/bookhive Bookhive lets you search hundreds of children's book reviews (ages birth - 12 years) by title, author, reading level, interest category, and number of pages. New book reviews are added monthly. 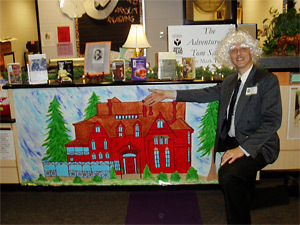 Alabama Virtual Library -- thanks to geolocation you DO NOT need an AVL card! 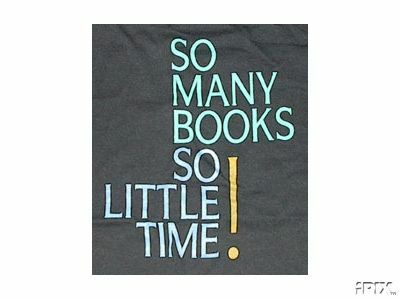 http://www.openingthebook.com/whichbook/ :This link will make it a little easier to decide which book to read next! Discover your ancestors with the world's largest family history website. Start a family tree, browse census records and more online at Ancestry.com. This valuable resources in now available at your library! You must visit the library to use this resource. It can only be accessed via one of our patron computers or your laptop using our wireless connection -- http://ancestrylibrary.proquest.com/aleweb/ale/do/login. 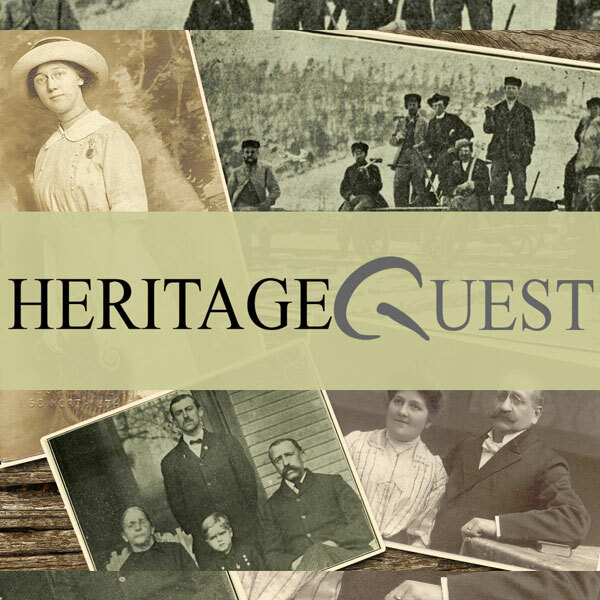 HeritageQuest Online...Find ancestors in the complete set of U.S. Federal Census images from 1790-1930, in over 23,000 family and local histories, in an index of over 2.1 million genealogy and local history articles, in selected records from the Revolutionary War Era Pension and Bounty-Land Warrant Application Files, in the Freedman's Bank and in Memorials, Petitions, and Private Relief Actions of the U.S. Congress in the LexisNexis U.S. Serial Set. Type in your library card number to access the database. A collection of over 40,000 historic maps of Alabama, the United States and for that matter, the entire world! This free site provides a browsable and searchable index to genealogical sources on the internet including digitized primary sources, guides, and museums and historical societies, as well as county clerks and other agencies to contact to further research offline. The Alabama Department of Archives and History Digital Collections! http://www.kidsknowit.com The Totally Free Children's Learning Network with educational games, links and worksheets! http://gws.ala.org Great Websites for Kids! NetSmartz.org NetSmartz Workshop is an interactive, educational program of the National Center for Missing & Exploited Children® (NCMEC) that provides age-appropriate resources to help teach children how to be safer on- and offline. The program is designed for children ages 5-17, parents and guardians, educators, and law enforcement. With resources such as videos, games, activity cards, and presentations, NetSmartz entertains while it educates. This line is staffed by parenting resource specialists who will answer the phone, listen to callers, then offer helpful information and support. Callers may also request free literature about specific parenting concerns. When registering, your user name is your 14-digit library card number and a password of your choice. Special Note: since the Learning Express library platform has changed, you will need to register on the site again! Alabama Virtual Library -- Thanks to geolocation you DO NOT need an AVL card! However, if you have Uverse or satellite internet, you will need to contact the library for us to set up your account as geolocation does not work with these internet service providers. Homework Alabama offers free online homework help from tutors in Math, Science, Social Studies and English, for grades 4 - 12 and College Intro as well as Job Search Assistance and Academic & Career Resources. Tutors are available from 3 p.m. until 10 pm, Sunday-Thursday. College Navigator provides a wide range of useful information on more than 7,500 postsecondary education institutions including public, private, vocational, and technical schools. Computer skills, GED preparation, job search and workplace skills, job skills, skill building for adults, and U.S. Citizenship. http://www.onlineu.org/whose mission is to refocus the higher education converstation around affordabilty and increase ease of accessibility to online college information. 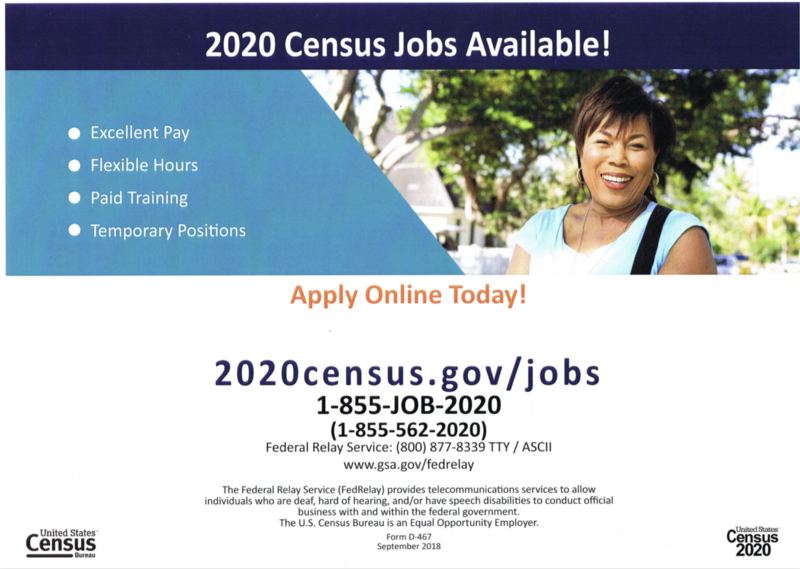 We will transition to AtoZ Databases: Search Jobs, Businesses or Mailing Lists later this fall. If you like Reference USA then take a look at Ato Z Databases: Search Jobs, Businesses or Mailing Lists. https://www.fundera.com/resources/veterans-guide-starting-financing-small-business: A “how-to” guide for Vets on getting everything started in entrepreneurialship. http://bunkerinabox.org: the "ultimate source of thought leadership from top entrepreneurs and veterans around the U.S." The short and simple online mini-course in veteran's entrepreneurship is divided into 14 “missions” created around the themes of Inspire, Education and Connection. This website http://www.fueleconomy.gov features updated fuel economy data for new and used passenger vehicles dating back to 1984, allows side-by-side vehicle comparisons, and offers fuel-saving tips. The website also contains vehicle-specific air pollution emissions information and safety ratings and provides links to car buying websites. TaxHelp.org This site contains over 150 free tax help resources, tax guides for different financial situations, and a comprehensive database of over 200,000 licensed CPAs. Access to the Alabama Driver's Manual, Motorcycle Manual, Commercial Driver's Manual, and Boater's Handbook. La Mano Amiga (The Helping Hand) is a free nonprofit magazine for Spanish-reliant patrons. Every month a new issue is published with articles on financial literacy, health and well-being, charities and social services, U.S. laws and customs, and other information important to people adapting to life in this country. http://www.lamanoamiga.org/. serves to help low-income Alabamians find solutions to legal problems. This site can help people find legal aid, learn about their rights, apply for public benefits, download self-help materials, and find relevant community agencies. Throughout Alabama, thousands of people live with a disability or know of someone who has one, whether a returning veteran, family member, friend or colleague. Today, more than ever, there is a critical need to connect those with disabilities to the information they need to actively participate in the workforce and their communities. www.disability.gov is the ideal, one-stop resource to meet that demand. A website that helps you understand Alabama's legal system. The Alabama Access to Justice website helps people understand the legal system in Alabama. There are documents and court forms for specific legal problems, and there is general information about going to court. You will also find information about the legal aid organizations in Alabama. Tis website does not provide legal advice, and it is not a substitute for having a lawyer. If you need an lawyer, there is information to help you find one in your area. The website is sponsored by the Alabama Access to Justice Commission, which was created by order of the Superme Court of Alabama to serve as a coordinating entity for the legally underserved and legal community. The World Factbook: https://www.cia.gov/library/publications/the-world-factbook/: The Factbook provides information on the history, people, government, economy, energy, geography, communications, transportation, military, and transnational issues for 267 world entities. State of Working America: http://stateofworkingamerica.org:The State of Working America, an ongoing analysis published since 1988 by the Economic Policy Institute, includes a wide variety of data on family incomes, wages, jobs, unemployment, wealth, and poverty that allow for a clear, unbiased understanding of the economy’s effect on the living standards of working Americans. globalEDGE: http://globaledge.msu.edu: a web portal designed to connect business professionals worldwide with information, insights, and learning resources on global business activities. http://supremecourtdatabase.org The Supreme Court Database is the definitive source for researchers, students, journalists, and citizens interested in the U.S. Supreme Court. 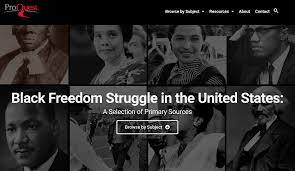 https://www.constituteproject.org: The world's constitutions for you to read, search and compare. http://worldpublicopinion.org: WorldPublicOpinion.org is an international collaborative project whose aim is to give voice to public opinion around the world on international issues. As the world becomes increasingly integrated, problems have become increasingly global, pointing to a greater need for understanding between nations and for elucidating global norms. With the growth of democracy in the world, public opinion has come to play a greater role in the foreign policy process. WorldPublicOpinion.org seeks to reveal the values and views of publics in specific nations around the world as well as global patterns of world public opinion. This site breaks down the mystery behind Amazon discounts and deals! Most everyone knows that Amazon has a wide range of products, but few are aware of the secret deals they may be missing out on. It offers access to an up-to-date guide with the best ways to navigate all of Amazon’s specials and bargains, especially the ones relating to books and Kindle eBooks. Retail Savings Guide for People with Disabilities https://www.couponchief.com/guides/savings_guide_for_those_with_disability “CouponChief.com’s Retail Savings Guide for People with Disabilities provides a detailed look at ways those with disabilities can stretch their dollars. Discounts, services, and special offers are widely available, but very few businesses will mention their willingness to help simply because the risk of offending someone is just too big to risk saying something. Managing a disability can be tough, but you don't have to handle it all by yourself. The bottom line is: if you can save money, why not do it?" https://www.moneysavingpro.com/internet-providers/in-my-area/: Our team of data scientists have spent the last 9 months analyzing sets of information to produce pages that are exceptionally useful to potential consumers - providing a number of different unbiased reviews on some of the best residential internet companies on the markets. These review pages serve as a hub for some of our best content, where visitors can find detailed information on costs, customer satisfaction, and in-depths reviews of the products and services available to them. https://mesothelioma.net: Our patient advocates are here to support you, answer your questions, provide you wiht resources and inform you about your financial options. We have helped hundreds of patients, and we're here to help you and your loved ones today. http://www.MesotheliomaGuide.com: Information from an advocacy organization dedicated to helping patients diagnosed with asbestos illnesses. They specialize in assisting patients with understanding which treatment options are best suited for thier illness, as well as how to find the right doctors that provide those treatment options. https://www.mesotheliomafund.com/:Free assistance for mesothelioma patients and their families for medical treatment, finding a doctor, understanding your diagnoses, informational resources and travel costs. https://www.mesothelioma.com/: The Mesothelioma Cancer Alliance is an online educational resource for veterans, seniors, cancer patients, and caregivers. http://MesotheliomaVeterans.org: United States Military veterans make up over 30% of all patients with malignant mesothelioma, caused by exposure to asbestos. Learn more about your benefits options with our VA-accredited claims agents, all free of charge. http://www.mesotheliomaprognosis.com: It’s your prognosis. Take action to improve it. Certain factors that influence your prognosis are within your control. You can improve your outcome, and we’re here to guide you along the way. https://www.asbestos.net :The Mesothelioma Justice Network fights on behalf of patients, demanding justice from negligent asbestos companies. http://recallreport.org: Recall Report is the web’s leading resource for information about health and safety recalls, including dangerous drugs and associated mental conditions. https://www.therecoveryvillage.com/heroin-addiction/: The Recovery Village is a comprehensive substance abuse and eating disorder treatment facility in Florida, offering a full continuum of care from a patients’ arrival. In addition to medical detox and acute medical stabilization, we offer nutrition monitoring and medical intervention, inpatient, residential, partial hospitalization, intensive outpatient, sober housing accommodations, and aftercare. http://www.learnhowtobecome.org/college/veteran-resources/ College Resource Guide for Veterans: This step-by-step guide to help Veterans transition from military to college life and provide numerous resources to assist in that transition. A little background on the organization, they are passionate about creating a one-stop, comprehensive resource that can guide individuals through each of the steps they need to take to begin, further, or change their career path. Their mission is to help students (or other aspiring professionals) understand what it takes to land their perfect career, from picking the right school all the way to climbing the company ladder. Looking to downsize or looking for a good deal, check out EstateSales.org.